Capt. Chuck Hansen founded Fast Response Marine Towing and Salvage in 2008 after seeing too many situations in which the big name companies were flat out taking advantage of unsuspecting recreational boaters in South Florida. Against all odds, starting with just one boat, Capt. Chuck launched Fast Response and hasn’t looked back. Now, at age 31, he’s built a company that is highly respected both by local mariners and by big insurance companies. What is your background and experience with boats? I first started driving boats when I was 13 years old. My father had various inboard and outboard boats ranging from 19 to 38 feet, and I got to pilot all of them! I have always been fascinated with boats and speed as far back as I can remember. I was born in Long Island, New York, and moved to South Florida when I was a small child. Capt. 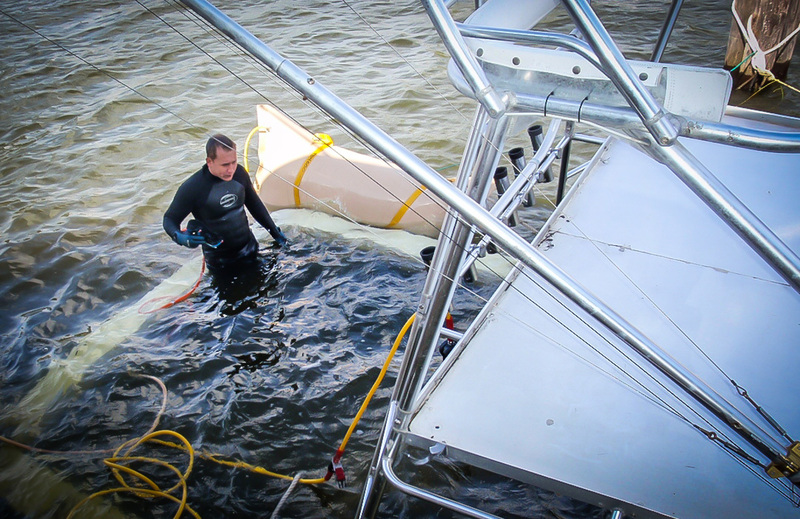 Chuck helping a grounded yacht during the early days of Fast Response Marine Towing & Salvage. What do you enjoy the most about working with Fast Response? I love working with my crew. It’s good knowing that we are the alternative to the big name corporate companies out there that all too often take advantage of unsuspecting mariners. Having a presence out on the water, and giving the mariners a choice that they didn’t have before, is particularly gratifying. What has been your most unique experience working with Fast Response? Well, it’s so hard for me to name only one crazy unique story I have, because I have many. There are so many close-call distress situations I’ve handled — I wouldn’t know where to start. Instead, I’ll share my funniest story. 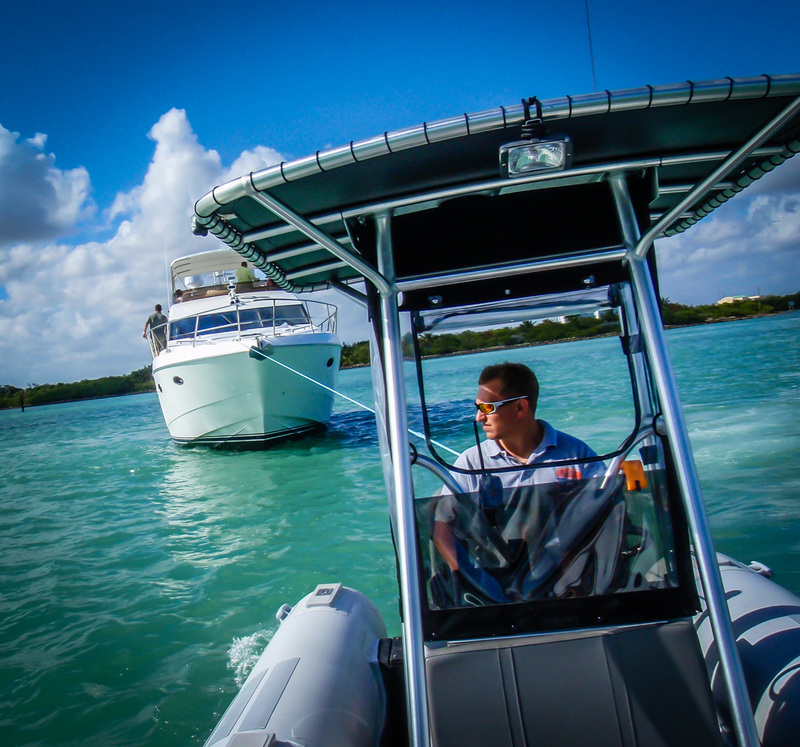 “My vessel is out of control, and I’m in the channel in Key Biscayne,” she replied. The Coast Guard then asked which channel in Key Biscayne, since there are many. “I DON’T KNOW! OH GOD HELP ME!” she answered. At this time, I took an educated guess and started heading to Stilts Ville, since it is was the largest channel nearby, and I saw nothing around me. Another towing and salvage company started following me like I knew where I was going, but I had no clue — I just had to start looking. The Coast Guard asked the woman what kind of vessel she was in, and she replied it was a 55’ Hatteras. Now that’s an extremely large boat to be out of control! The Coast Guard began giving her detailed instructions on how to put the vessel in neutral which didn’t work, then they gave her detailed instructions on how to turn off the vessel, and that didn’t work, either. I looked frantically for an out-of-control 55′ Hatteras to save the woman and the small children, but I saw nothing. 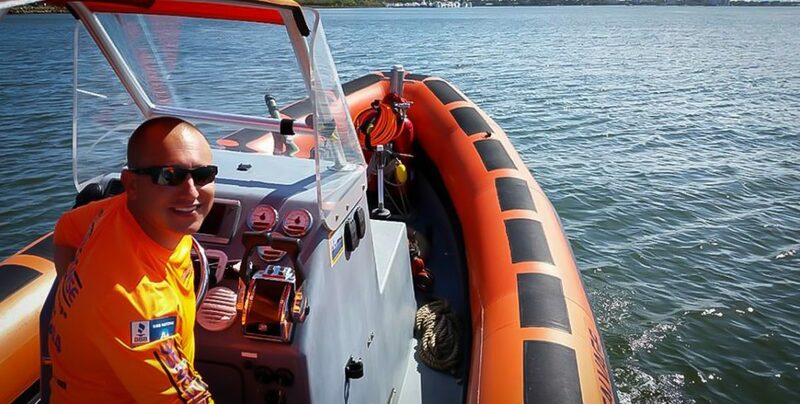 The Coast Guard asked her why she didn’t know much about this boat, and if it was her vessel. “NO, IT’S MY HUSBAND’S,” she replied. Capt. 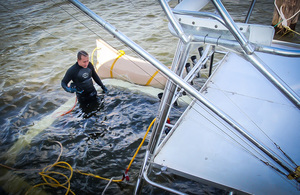 Chuck salvaging a vessel that sank at the dock. “Well where is your husband?” the Coast Guard inquired. We now had two crises on our hands: a 55’ Hatteras out of control with a hysterical woman and small children onboard, and a man overboard. Soon after this, another mariner believed he had a visual of the vessel and asked the woman to confirm her vessel’s name. I love exercise, diving, free diving and playing poker. I take pride in my work, and I’m always looking for ways to improve. I’m a firm believer that you get out of things what you put into them.